Russian Foreign Minister Sergey Lavrov says that Moscow and Washington are not in the midst of an argument over NSA whistleblower Edward Snowden, but President Barack Obama says a “pause” is needed in order to reassess America’s relationship with Russia. The situation and tensions surrounding Snowden are “an anomaly” in relations between Moscow and Washington, Lavrov said in a Friday press conference. “There’s no Cold War [between Russia and the US]. On the contrary, we have the closest partnership and very good potential for its improvement,” the Russian FM stressed. The remark came after Sergey Lavrov's meeting with US Secretary of State John Kerry as part of the so-called "2+2" talks in Washington. 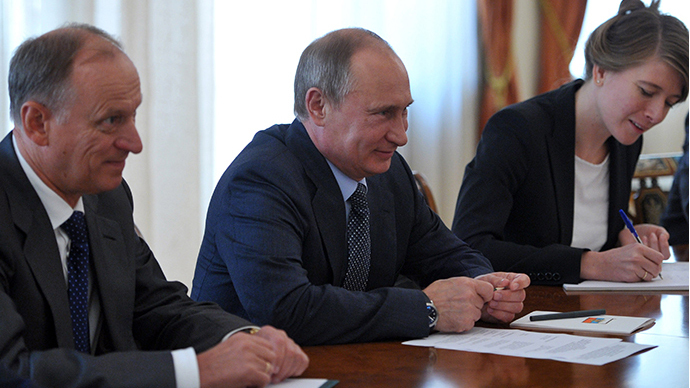 Russian Defense Minister Sergey Shoygu and US Defense Secretary Chuck Hagel also took part in the meeting. 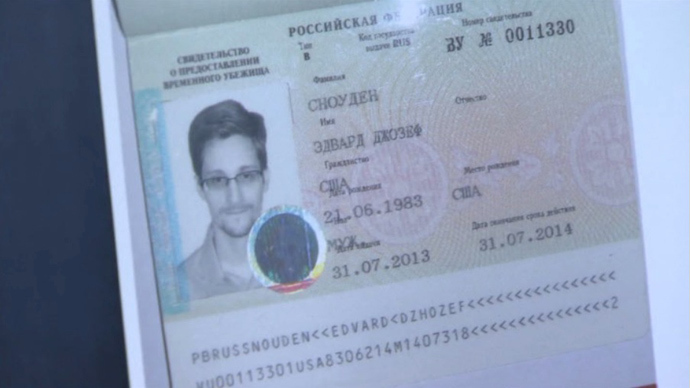 Washington was “disappointed” by Russia’s decision to grant temporary asylum to NSA leaker Edward Snowden, who revealed secret American surveillance programs to the public in June. Russia repeatedly said it cannot extradite the whistleblower, who is wanted in the US on espionage charges, because there is no legal basis for such action. The Foreign Minister again stated that Russia acted in accordance with its own legislation and international law. He also reiterated that the US has never signed an extradition treaty with Russia. 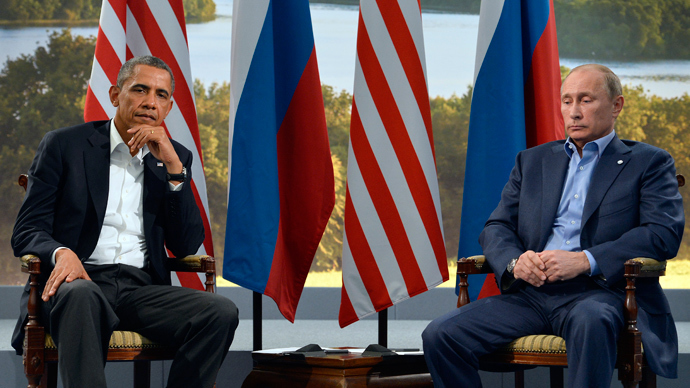 Friday’s talks took place amid an escalation of tensions between Moscow and Washington. On Wednesday, Barack Obama announced the cancellation of his September visit to Russia and personal meeting with Vladimir Putin due to disagreements on a number of issues surrounding Snowden, missile defense, the Middle East, and human rights. Kerry, for his part, said that Russia-US relations are "marked by both shared interests and, at times, colliding and conflicting interests." Despite any disagreements, Lavrov stressed that Obama’s visit to Moscow wasn’t canceled, but rather “postponed.” He expressed hope that the US President will eventually take advantage of the invitation to meet with Putin in Moscow. 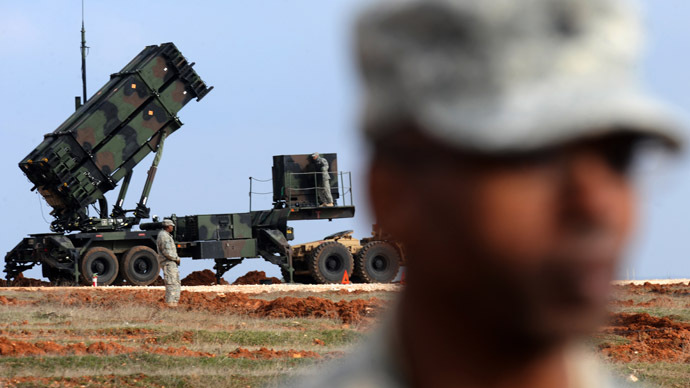 The US refuses to provide legally-binding guarantees that its missile defense system in Eastern Europe – which is said to be aimed at “rogue states” like Iran and North Korea - won’t be targeting Russia. Moscow has warned of taking countermeasures to maintain a strategic balance of forces. The two countries have also taken a different approach to the Syrian civil war, with the Kremlin supporting President Bashar Assad and the White House supporting the rebels – despite a large presence of Al-Qaeda affiliated militants within the opposition ranks. Moscow and Washington’s efforts to organize a peace conference in Syria have so far been fruitless, mainly because there is no unity among the country’s opposition. However, Kerry stated that both the US and Russia agree that “to avoid institutional collapse and descent into chaos, the ultimate answer is a negotiated political solution." In return, Lavrov promised that the two countries will meet again before the end of the month to lay the groundwork for the much delayed Geneva-2 conference. Although the Syrian opposition has still not come to an agreement amongst itself, Lavrov said that Russia has managed to secure the government of Bashar Assad to attend the talks without any preconditions. In regards to the other side, he said that "John Kerry assured me that the opposition would be persuaded to come to Geneva without any preconditions on the basis of reaching agreement with the government." Since May, attempts to set up the talks have been repeatedly postponed. The UN and Arab League’s peace envoy to Syria, Lakhdar Brahimi, now says there is no chance of anything happening before August. The West has been nervous over the lack of progress ever since Assad’s forces recently started gaining the upper hand on the battlefield. Both Russia and the US have decided that a transitional Syrian government is the way forward, but have not yet come to an agreement on whether President Assad should participate in its formation. On Friday at a White House conference, US President Barack Obama allayed fears that his relationship with President Putin was souring, insisting that despite the Russian leader having “that kind of slouch, looking like the bored kid in the back of the classroom…when we're in conversations together, oftentimes it's very productive." The President was referring to the duo’s June meeting in Northern Ireland. But acknowledging their differences has forced Obama to say that the US will "take a pause, reassess where it is that Russia is going." "Frankly, on a whole range of issues where we think we can make some progress, Russia has not moved," Obama said, adding that "I think there's always been some tension in the US-Russian relationship after the fall of the Soviet Union." But despite any disagreements, Obama said that he does not think boycotting the 2014 Sochi Winter Olympics is the correct move, signaling that Americans will indeed be present at the games. "I do not think it's appropriate to boycott the Olympics," he said.